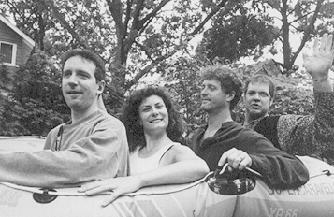 Nancy Sirianni and her musical partner, singer/songwriter Jack Hoffmann teamed up in the 1990s to perform their original songs, alternately singing lead and concentrated on their unique brand of harmony, quirky melodies and hand percussion. They formed the duo (and later trio) All Folked Up, playing regularly in Manhattan and at small Long Island clubs. The pair veered sharply left for a time to self-produce the album project Big Orange Marble, but would eventually find that the key to their sound and their sensibilities would lie in their musical collaboration with long-time soulmate, John Collis. And so it was that Sirianni, Hoffmann and Collis became the scoldees, a band born of friendship and a love of making music, a band that may just have a little too much fun. Long-time friend and bass player Ted Rydzewski filled out the roster, and together the band recorded 2 CDs, My Pathetic Life and Nightcap World. 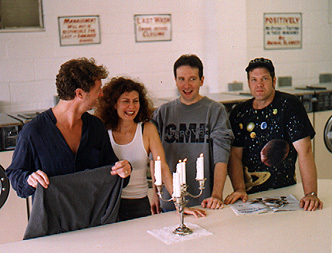 The scoldees changed personnel in 2005, and began working on their 3rd CD. Glen Saunders replaced Rydzewski on bass, and lead guitar player Ethan Meixsell joined the group. The new group played many festivals together, but did not complete the new CD. Nancy's songs from those recordings will be included on Sirianni's first solo effort.